When Joe Reed, 27, opened his the hood of his car in Massachusetts, he found a coiled red tail boa constrictor staring back at him. It turns out the reptile escaped his cage at a neighbor’s house, and it took two cops and Reed to get it out. The owner came forward and claimed him from police. 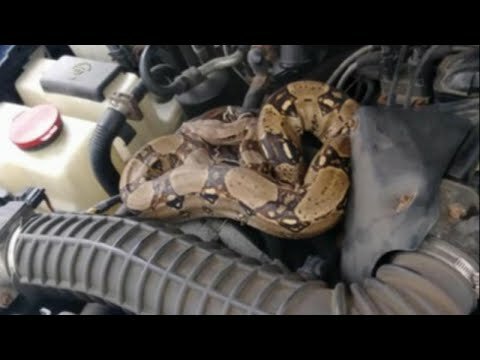 Jim Horton is the owner of QualityPro Pest and Wildlife Services in New York and he’s found all sorts of critters inside cars. According to Horton, animals are drawn by the heat that the engines give off. New Mandatory Evacuations In California, It’s Not Good News! !